If your job were an iceberg, then its content (the tasks you're striving to complete) would be just the one-tenth of the berg that shows above the water. What about the nine-tenths below? We focus a lot of our attention on the visible part of the ice. Sure, we go down to the waterline sometimes and look at the interactions between team members, take part in discussions about how we should get the work done. But we rarely dip a toe in the water, much less get our diving gear on and look at the foundations. Although we might get away with that for some time, the chances are that sooner or later your career canoe, team boat or even the organisational ship will run aground somewhere on the nine-tenths of hidden iceberg. Just below the surface are the more difficult team interactions, our unexpressed feelings, issues such as belonging, power, autonomy, diversity and friendship. Beneath that, where it starts to get darker, lie the values, beliefs and assumptions that drive us; our personal histories, the habitual defence mechanisms we developed through our formative experiences. We are barely aware of some of these things. And below that, at depths where no light penetrates, is the unconscious, which we can only access indirectly. We can't expect our careers, teams or organisations to be successful if we don't pay attention to what's down here. Humans are successful because we are social creatures – we work in groups to get the stuff that we can’t do alone done. Life is a collaborative venture and what holds the collaboration together – or breaks it apart – is all below the waterline. Often the need to attend to some deeper part of ourselves will become apparent when we get promoted, move into a new team, when we start to manage people, or move into a senior leadership role – the change makes us start to become aware that something is holding us back, that we’re getting in our own way. It may be feedback that alerts us to something that needs to change; we may start to experience increasing distress or unhappiness in work we used to find fulfilling; or we may simply feel stuck. Whatever prompts us to notice that something is wrong, we will often begin the journey by describing our unease in quite familiar ways: we feel the need to be more confident; we would like to be more emotionally resilient to the sometimes bruising experiences we have at work; we wish we felt less stressed; we want to deal with conflicting demands more easily; we would like to say 'no' more often; we want our voice to be heard in meetings; we want to develop our personal presence. 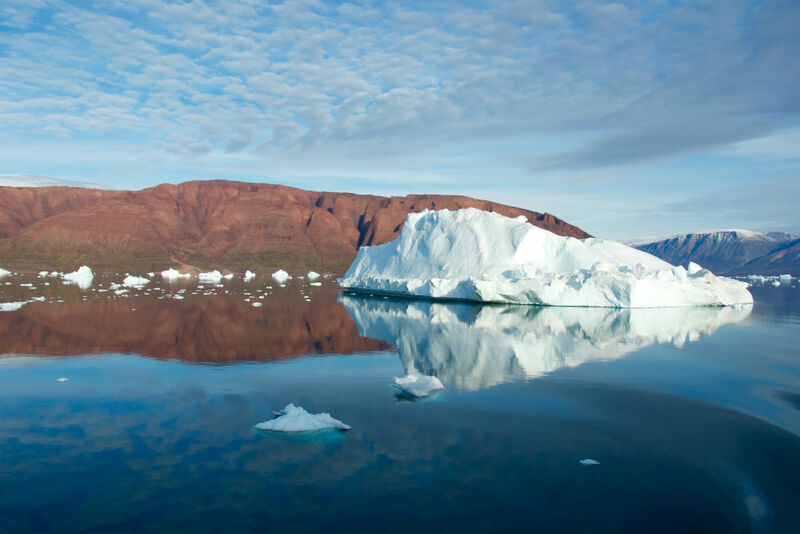 Having focused for so long on the what and the how, the iceberg above the waterline, these types of changes can force us to attend to the who. In the triangle of the who, what and how of work, we’re trying to shift the who a little; working on the deeper issues will give us a different perspective and enable us to do our work – engage with the what and the how – in a better way. This is where a coach can help. Where mentoring focuses on the job content, coaching stays out of the what and how, and works with the person. Coaches are trained in the necessary diving skills to work on the parts of the iceberg under the water. They're also aware of how deep they can dive and when an issue is more suitable for counselling or therapy. Coaching gives us a safe space to acknowledge and explore the emotional, as well as the rational, side of working life. It helps us to become more aware of our habitual patterns of behaviour and emotional responses, to understand where they are not supporting us well, and to act to change them. Even a concern which at first appears to be solely about job content – for example, someone who speaks about their need to "become more strategic" – can turn out to be more about who is showing up than any particularly technical knowledge. In the end, who you are matters a lot to your success at work, and since your charity depends on the successful collaboration of many people like you, its success likewise depends greatly on the ability of everyone in it to better understand their own invisible nine-tenths.